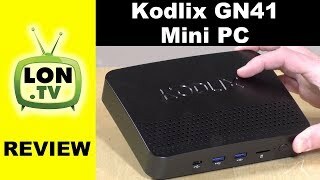 The Kodlix GN41 is a small fanless desktop computer with a Gemini Lake quad-core processor from Intel Celeron N4100, 8GB of RAM and 64GB of eMMC storage. This is not particularly noteworthy in terms of hardware – there is no shortage of cheap mini-PC on the market these days. But what makes Kodlix GN41 a bit unusual is the software: it is available with a choice of Windows 10 or Ubuntu Linux. Most Intel mini-PCs come with Windows 10, so when new models with Linux distributions such as Ubuntu appear, they are especially interesting. 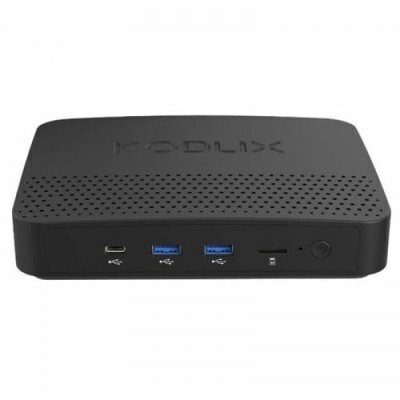 Recently, the MINIX NEO Z83-4U mini-PC with Ubuntu 18.04, which comes in a well-designed case with passive cooling, as well as with an Intel Atom X5 processor with relatively low power, designed for commercial use, such as digital signage or a thin client. There is also a more expensive model with a Core i3-5005U Broad well processor and 128 GB of memory, as well as cheaper models with Atom X5-Z8350 processors. But only the Celeron N4100 version is available with Ubuntu. The system runs on a 6W quad-core Intel processor, and if you don’t have enough built-in storage, there’s room for a 2.5-inch hard drive or SSD, as well as for reading SD cards. The GN41 Package size measures approximately 18.60 x 14.40 x 9.00 cm and weighs about 0.81 kg. On Amazon model with Ubuntu sold for $239.99 or version for Windows is 15 dollars more expensive.